Configuration of SBIRS systems: GEO, HEO and Low components. Not to be confused with SBIR. The Space-Based Infrared System (SBIRS) is a consolidated system intended to meet the United States' infrared space surveillance needs through the first two to three decades of the 21st century. The SBIRS program is designed to provide key capabilities in the areas of missile warning, missile defense and battlespace characterization via satellites in geosynchronous earth orbit (GEO), sensors hosted on satellites in highly elliptical orbit (HEO), and ground-based data processing and control. SBIRS ground software integrates infrared sensor programs of the U.S. Air Force (USAF) with new IR sensors. As of January 2018[update], a total of ten satellites carrying SBIRS or STSS payloads had been launched: GEO-1 (USA-230, 2011), GEO-2 (USA-241, 2013), GEO-3 (USA-273, 2017), GEO-4 (USA-282, 2018), HEO-1 (USA-184, 2006), HEO-2 (USA-200, 2008), HEO-3 (USA-259, 2014), STSS-ATRR (USA-205, 2009), STSS Demo 1 (USA-208, 2009) and STSS Demo 2 (USA-209, 2009). The manufacturing contract for GEO-5 and GEO-6 was awarded in 2014, with the two satellites scheduled for delivery to the Air Force in 2022. According to the Government Accountability Office (GAO), these attempts failed due to immature technology, high cost, and affordability issues. SBIRS is to use more sophisticated infrared technologies than the DSP to enhance the detection of strategic and theater ballistic missile launches and the performance of the missile-tracking function. The original contract consisted of 2 HEO satellite sensors and 2-3 GEO sensors (and satellites) with an option to buy a total of 5 GEOs. A complement of satellites in low earth orbit (LEO) was planned as part of the program (SBIRS Low), but this has been moved into the STSS program. SBIRS continues to struggle with cost overruns, with Nunn-McCurdy breaches occurring in 2001 and 2005. By September 2007, the expected project cost had increased to $10.4 billion. In December 2005, following the third SBIRS Nunn-McCurdy violation, the government decided to compete GEO 4 and 5, with an option to buy the GEO 3 contingent based on the performance of the first two. On June 2, 2009 Lockheed Martin announced it had been awarded a contract for the third HEO payload and the third GEO satellite, and for associated ground equipment modifications. On July 10, 2009, Lockheed Martin was awarded $262.5 million as down payment by the USAF towards the purchase of a fourth satellite. The first GEO satellite of the SBIRS program, GEO-1, was successfully launched from Cape Canaveral on an Atlas V rocket on May 7, 2011. In June 2014, Lockheed Martin was contracted by the USAF to build GEO-5 and GEO-6, at a cost of $1.86 billion. SBIRS High (also now simply referred to as "SBIRS") is to consist of four dedicated satellites operating in geosynchronous earth orbit, and sensors on two host satellites operating in a highly elliptical orbit. SBIRS High will replace the Defense Support Program satellites and is intended primarily to provide enhanced strategic and theater ballistic missile warning capabilities. SBIRS High GEO 1 was launched on May 7, 2011. Two SBIRS sensors hosted on two classified satellites in highly elliptical orbit have already been launched, probably as part of the NROL-22 (USA 184) and NROL-28 (USA 200) launches in 2006 and 2008. USA 184 and USA 200 are believed by analysts to be ELINT satellites in the family of JUMPSEAT and TRUMPET; TRUMPET has been reported to have carried an infrared sensor called HERITAGE. The prime contractor for SBIRS is Lockheed Martin, with Northrop Grumman as the major subcontractor. Lockheed Martin also provides the satellite for SBIRS GEO. The system's expected deployment was delayed from December 2009 to 2011 because of problems with Lockheed's workmanship on system components, including unresolved software malfunctions and several broken solder joints in a subcontract procured gyroscope assembly on the first spacecraft being built. It was feared that a further launch postponement into late 2011 would lead to conflict with the planned launches of NASA's Juno spacecraft and Mars Science Laboratory, which will all use the same launch facility. However, the first GEO launch, GEO-1, was successfully conducted on May 7, 2011. According to a Reuters report, the first two SBIRS GEO satellites started operations in 2013. GEO-3 launched on 20 January 2017, and SBIRS GEO-4 was successfully deployed on 20 January 2018. In 2017, the United States Air Force requested $1.4 billion in Fiscal Year 2018 for SBIRS, and funds for advance procurement of SBIRS 7 and 8. While $643 million in funding was provided for SBIRS in Fiscal Year 2019, funding for SBIRS 7 and 8 was eliminated in favor of a new program called "Next Generation Overhead Persistent Infrared." Plans remained to launch SBIRS 5 in 2021 and SBIRS 6 in 2022. The SBIRS Low contract is now managed by the Missile Defense Agency (MDA) and has been subsequently renamed to the Space Tracking and Surveillance System (STSS). a scanning infrared sensor, designed to acquire ballistic missiles in the early stages of flight. a tracking infrared sensor, designed to follow missiles, warheads, and other objects such as debris and decoys during the middle and later stages of flight. The tracking sensor would be cooled to very low temperatures. SBIRS Low's original deployment schedule was 2010, the date when its capabilities were said to be needed by the National Missile Defense System. In 2001, the Missile Defense Agency assessed the programs needed for a national ballistic missile defense system (BMDS) and found that they were lacking in the relatively new arena of space. The MDA decided to absorb the SBIRS Low constellation in its very early stages of development and renamed the program the Space Tracking and Surveillance System (STSS). This transition changed the direction of the program somewhat, but the overall mission remained the same—detection and tracking of ballistic missiles through all of its phases of flight. ^ "Contracts for May 25, 2017". U.S. DEPARTMENT OF DEFENSE. 25 May 2017. Retrieved 13 November 2017. ^ "SBIRS GEO 5, 6 Contract Awarded". Los Angeles Air Force Base. U.S. Air Force. June 27, 2014. Retrieved January 4, 2018. ^ "INTELLIGENCE AUTHORIZATION ACT FOR FISCAL YEAR 2000: Space-Based Infrared System-High (House Report 106-130)". U.S. Government Printing Office. 7 May 1999. ^ "Space Based Infrared System High Program and its Alternative (GAO-07-1088R)". Government Accountability Office. 12 September 2007. ^ "CDI: Fact Sheet on Space Based Infrared System". cdi.org. Archived from the original on 13 November 2007. Retrieved 14 November 2017. ^ "U.S. Air Force Awards Lockheed Martin $1.5-Billion Contract For SBIRS Follow-On Spacecraft". LM. June 2, 2009. Archived from the original on June 5, 2009. ^ Vorman, Julie (July 10, 2009). "Lockheed gets $262.5 million U.S. satellite down payment". Reuters. ^ a b "United Launch Alliance Marks 50th Successful Launch by Delivering the Space-Based Infrared System (SBIRS) Satellite to Orbit for the U.S. Air Force". United Launch Alliance (Press release). 7 May 2011. Retrieved 14 November 2017. ^ "U.S. Air Force Awards Lockheed Martin Contract For Next Two SBIRS Missile Defense Early Warning Satellites". lockheedmartin.com (Press release). Lockheed Martin Corporation. 24 June 2014. Retrieved 13 November 2017. ^ "Rocket blasts off with missile-warning satellite". Reuters. 7 May 2011. ^ "U.S. Air Force Awards Lockheed Martin $1.5-Billion Contract For SBIRS Follow-On Spacecraft". Archived from the original on 2009-06-05. ^ "Molczan in Satobs message 30 September 2005". ^ "Molczan in Satobs message 24 February 2008". 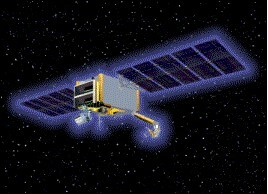 ^ Capaccio, Tony, "Delivery Delayed For Lockheed Martin's Early Warning Satellite", Bloomberg.com, Sep 30, 2009. ^ "Lockheed wins $1.9 billion deal for U.S. missile-warning satellites". Reuters. Jun 25, 2014. ^ "United Launch Alliance Successfully Launches SBIRS GEO Flight 3 Satellite to Orbit for U.S. Air Force". United Launch Alliance (Press release). 20 Jan 2017. Retrieved 14 November 2017. ^ Richardson, Derek (19 January 2017). "Various issues prompt 24-hour scrub of Atlas V with SBIRS GEO-3 - SpaceFlight Insider". www.spaceflightinsider.com. Spaceflight Insider. Retrieved 14 November 2017. ^ Clark, Stephen. "U.S. military satellite launched to fortify against missile attacks". Spaceflight Now. Retrieved 26 January 2018. ^ Erwin, Sandra (20 October 2017). "Production of new missile warning satellites likely delayed by budget impasse". SpaceNews. Retrieved 14 November 2017. ^ Erwin, Sandra (19 February 2018). "The end of SBIRS: Air Force says it's time to move on". SpaceNews. Retrieved 21 February 2018. 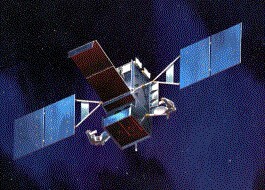 Space-Based Infrared System Low at Risk of Missing Initial Deployment Date, U.S. General Accounting Office, Feb. 2001. This page was last edited on 10 January 2019, at 19:47 (UTC).